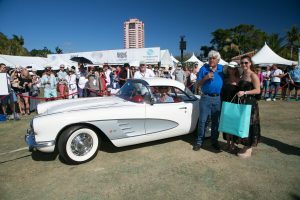 The 12th Annual Boca Raton Concours d’Elegance presented by Mercedes-Benz and AutoNation has raised over $10 million to date for the Boys & Girls Clubs of Broward County. Hosted for the 12th consecutive year at the Boca Raton Resort & Club, the event took place from February 23-25 and included highlights with Jay Leno & Tim Allen which attracted more than 7,000 attendees for an amazing weekend of philanthropy, comedy and a stellar automobile and motorcycle display. Founded and directed by Rita & Rick Case of The Rick Case Automotive Group as volunteers who have annually continued their leadership and hands-on involvement over the last 12 years, the Boca Raton Concours is all to benefit the Boys & Girls Clubs of Broward County and the more than 12,500 at-risk youth it serves. “The entire Concours team is comprised of a group of over 300 volunteers who donate their time to the planning and execution of the event,” says Brian Quail, President/CEO of the Boys & Girls Clubs of Broward County. Kicking off the weekend of events on Friday, February 23rd with the duPont Registry™ Live Hangar Party at Atlantic Aviation at the Boca Raton Airport, guests experienced gourmet tastings from 20 of South Florida’s finest restaurants. 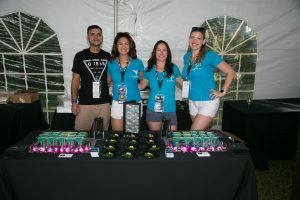 As guests indulged in an array of fine wines and spirits as well as live entertainment, they perused an impressive selection of exotic and luxury cars, motorcycles, private jets, premier vendors and more. Attendees had a chance to meet Indy 500 Race Car driver, Jack Harvey and preview Harvey’s INDY 500 Race Car which is driven by AutoNation’s partnership. 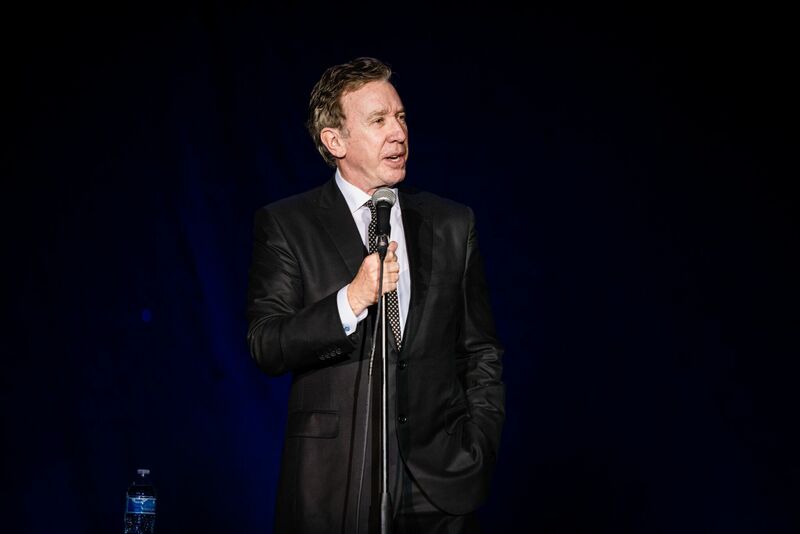 The excitement continued on Saturday, February 24th with the Grand Gala Dinner, Live Auction and Show featuring an unforgettable comedian headline performance by Tim Allen. Allen, an actor, comedian, author as well as an avid car collector starred in the long-running hit ABC series “Home Improvement” where he garnered a Golden Globe Award, an Emmy nomination, and was honored with the People’s Choice Award for “Favorite Male Performer in a Television Series” for eight years in a row. Allen’s film roles include portraying Buzz Lightyear in the “Toy Story” franchise and Scott Calvin/Santa Claus in “The Santa Clause” trilogy. Guests also enjoyed the presentation of the Automotive Lifetime Achievement Award to Norman Braman, Founder and owner of Braman Motorcars and National Lifetime Achievement Award to Bob Carter, Executive VP of Toyota North America. The memorable weekend continued with the Boca Raton Concours d’Elegance on Sunday, February 25th, sponsored by the Rick Case Automotive Group. The morning started with a private Q&A brunch hosted by Celebrity judges Jay Leno from the “Jay Leno’s Garage” TV Show and Tim Allen. Following the brunch, Jay Leno joined Tim Allen as they walked through the show field meeting automobile and motorcycle owners and event attendees as they searched for their favorite automobile and motorcycle to present the Jay Leno “Big Dog Garage Award” and the “Tim Allen Award”. Guests from around the world experienced an automotive showcase like no other, featuring vehicles and motorcycles from an array of time periods. Jay presented the “Big Dog Garage Award”. Auto enthusiasts viewed the Marques of the Year, Lincoln-Mercury and a very special presentation by the Antique Automobile Club of America (AACA), “Cars throughout the Decades of the past Century”. Celebrity Judges, Jay Leno, Tim Allen joined an expert panel of judges including Chief Judge Dr. Paul Sable and Chief Honorary Judge Steve Moskowitz, Executive Director of AACA, Jay Quail, Executive Director of Classic Car Club of America and Keith Martin from Sports Car Market Magazine. Additionally, Grand Marshal, Wayne Carini, host of Chasing Classic Cars joined the group for another stellar year along with Master of Ceremonies Bill Rothermel and Tom duPont, who selected the finest vintage, antique, classic and exotic vehicles based on period, presentation and overall style. Also joined by guest judge, David Schultz, Chairman of the 2017 Lincoln Motor Car Foundation. Once the show kicked off, guests invited to walk through a series of vendor tents and enjoy a selection of gourmet food, wine and cocktails from more than 20 of South Florida’s finest restaurants at the Concours d’Gourmet Pavilion. 2019 Save the date: 13th Annual Boca Raton Concours d’Elegance on February 22-24, 2019. Jay Leno will be the Saturday Gala Dinner & Auction headline entertainer as well as the Sunday, Concours d’Elegance official Celebrity Judge. To learn more about the annual Boca Raton Concours d’Elegance, please visit www.bocaCDE.com.